If you’ve done any research on Office 2010, you may have thought it was expensive and included a lot of things you’d never use. Microsoft added a lot of features and functions with their newest release of Office, all of which can really help an organization streamline their business functions. Sure, there may be cheaper alternatives that can do part of what you need, but when it comes down to it, no other product on the market gives you everything that Office 2010 offers in one package. In the end, you’ll more than likely end up spending more money trying to get the equivalent of what Office 2010brings to the table. 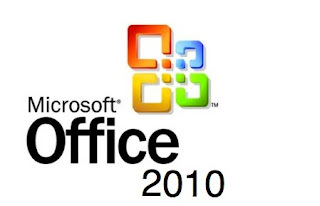 Below are 5 reasons Office 2010 is a smart business choice. Outlook has been greatly improved with this version. Conversation and calendar management is much easier and the Social Connector allows for easy networking online. They even included an Outlook Hotmail connector that allows you to use Hotmail like an exchange server. New audio and video tools were added to Powerpoint as well, finally allowing users to be able to easily embed videos into their presentations. Microsoft improved upon the Office 2007 interface, making it much easier to use. No more confusing button at the top left that shows the File menu tab. Instead, they included an actual file tab! The new interface overall makes much more sense. Microsoft gives you 25GB of free online storage via Skydrive and this new version of Office allows you to take full advantage of it. Upload, save and share buttons allow you to save directly to your Skydrive account, clearing up some space on your computer’s hard drive. Whether it was the power going out, your computer froze, or you simply closed your document without saving, we’ve all lost something we’ve worked on for hours due to not saving. Office 2010 attempts to prevent against data loss with their improved Auto Recover feature. If a document accidentally closes before you save, Office will work with you to help recover it. They also included a new feature that allows you to pick from previously saved versions of your document. Pretty neat. When Office 2007 was released, the cost was $680. Office 2010 will only cost you $499 (for the ultimate package) and if you buy a new PC, the cost lowers to $399. With all the new features and improvements 2010 brings, it’s well worth it.